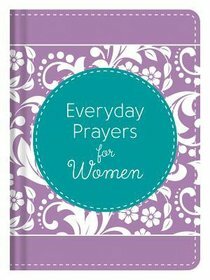 Everyday Prayers for Women is overflowing with potent, power-packed prayers and scripture selections, giving women just the encouragement they need to greet each day. A gift that promises to keep on giving, this little book will meet readers where they are, and lift them even higher-365 days a year! About "Everyday Prayers For Women"